2011 was a banner year for me, but the coming year promises to be a busy one as well. January brings an appearance with award-winning poet John Lane at Poetry Hickory on Jan. 10 at Taste Full Beans coffee house. This monthly gathering in Hickory is arranged by Scott Owens who welcomes prose writers as well. I am honored to be in the lineup again. Other readings include Claremont Branch Library on Jan. 24, the Catawba Valley Community College Library on Jan. 26 and the Sherrills Ford Branch Library Feb. 21. 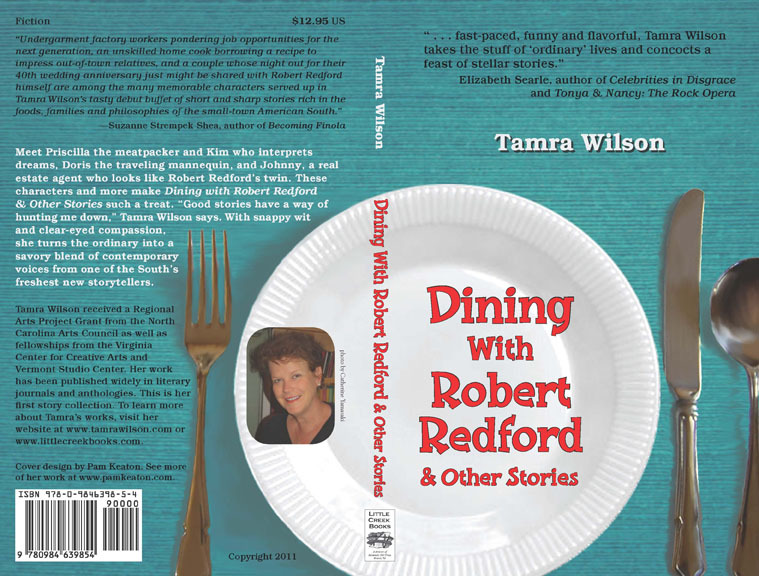 I’m taking Dining with Robert Redford on the road in late March. On the 23rd, I realize my long-held dream of presenting at the Virginia Festival for the Book. Later on the tour I’ll speak at the Appalachian Studies Conference at Indiana University and give a reading at a private gathering in Delaware. Other venues in this spring include stops in Charlotte, Flat Rock and Hendersonville. Literary events are alive and well. I thank all who make them possible.